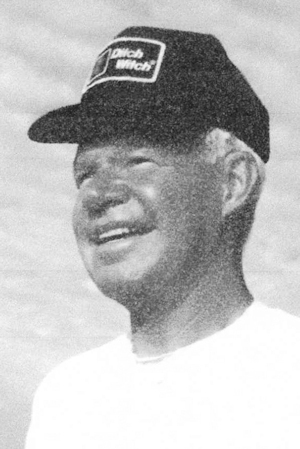 Obituary – Eppler, Thomas Eugene « Perry High School Alumni Association, Inc.
﻿Home Room President 48-49, Junior Play 48-49, Football 48-50, Football Queen Manager 49-50, Basketball 48-50, Baseball 48-50. Thomas Eugene Eppler, 78, of Cheyenne passed away April 15 at the Davis Hospice Center in Cheyenne after an eight-year battle with Parkinson’s Disease. Tom was born Nov. 20, 1932, in Oklahoma City, Okla., to Hubert Benjamin and Viola Velva (Grace) Eppler. His parents moved to Perry, Okla., in 1948 and he graduated from Perry High School in 1950. 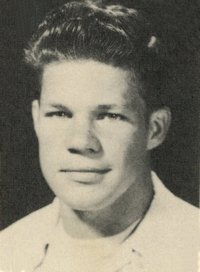 In his youth, Tom also attended schools in Tulsa, Wewoka, Holdenville, Shawnee and Waukomis, Okla. One of his valued experiences was serving our country for two years in the U.S. Army at Fort Hood, Texas, where he advanced to drill sergeant from 1953-55, with an honorable discharge to Army Reserve. After his discharge he attended and graduated from Oklahoma State University and accepted a teaching position at Perry High School, teaching math and science. He later was employed with the health, education and wellness program serving the State of Oklahoma under Governor Dewey Bartlett. He was manager of A Weldors Supply Co., Store Two in Oklahoma City before moving to Wyoming in 1985. He taught school again in the Cheyenne school system, retiring in 1995. Tom married Carole McCarter on July 4, 1986, in Crested Butte, Colo. They then settled in Cheyenne and together operated The Porch Swing Bed and Breakfast from their home for more than 20 years. Tom and Carole enjoyed the great outdoors of Wyoming and welcomed friends and family to experience what they loved. In his early years in Cheyenne, Tom brought the initial proposal of the recreational trail (the Greenway) to an Earth Day meeting. The group wanted to do something more for the community. Tom approached many local businesses and secured heavy equipment, operators and asphalt at no cost to the city. He also obtained approval from the City Council to go ahead and clear brush and trash and plant trees. Tom enjoyed tennis and golf with friends and was always ready for some good competition. Tom is survived by his wife, Carole of the home and their black Lab companion “Annie”. His children from his first marriage, Eric Eppler of Conroe, Texas, Chris (Katherine) Eppler of Portland, Ore., Kyle (Milani) Eppler of Bangkok, Thailand, Clay (Vashti) Eppler of Yamhill, Ore., and Anne Marie Eppler (Bill) Salter of Edmond, Okla.; brothers, Ray (Paula) Eppler of Ardmore, Okla., and Don (Kathryn) Eppler of Garland, Texas; sisters, Anna Lou (Max) Randall of Perry, Okla., Patsy (Bill) Dorcy of Frisco, Texas and Binnie (Jerry) Stanislav of Oklahoma City. He is also survived by his mother-in-law, Frances McCarter of Cheyenne; step-daughter, Christin Sharp of Oklahoma City; grandchildren, Emily Eppler (Matt) Gumbel of Dallas, Katie Eppler (Hunter) Lewis of Colorado Springs, Colo., Ben, Kate, Sam and Matthew Eppler all of Portland, Joshua and Zachary Eppler of Yamhill, Jake Holliday of Edmond and Kiara and Justin Eppler of Bangkok; and step-grandsons Stefan, Miles and Frank Rahimi of Edmond; and many nieces and nephews. Tom was preceded in death by his parents; brother, David Michael Eppler; sister-in-law, Irene (Heard) Eppler; niece, Leslie Ann Eppler; and nephew, Mark Andrew Eppler.